St. Vincent and St. Lucia are so close that if a storm passes affecting one, it is bound to affect the other. In addition to geographical proximity is historical deepness. Sir. John Compton, regarded as the father of the nation of St. Lucia and its longest serving Prime Minister was born in Canouan, St. Vincent. Both OECS countries exported Bananas together in the Windward Islands Banana regime and both have British and French influences. Politically, the Unity Labour Party (ULP) in St. Vincent is closely connected to the St. Lucia Labour Party (SLP), while the United Workers Party (UWP) is closely connected to the New Democratic Party (NDP) in St. Vincent. St. Lucia seen in the distance from Richmond, St. Vincent. Photo: Richmond Vale Academy. Apart from all these realities, the reason both countries are open to each other is because of the revised Treaty of Basseterre which allows for free movement of people. The freedom of movement regime set up through the revised Treaty of Bassetterre makes it easy for OECS Nationals to visit, work and even drive in other OECS countries. A beach on the north coast of Canouan, Sir John Compton’s birthplace. At present, OECS citizens are; granted indefinite stay on entry, allowed to travel and enter the countries with a government issued valid photo ID, not required to obtain a work permit, and; are allowed to drive in a Member State on a valid driver’s licence from another Member State. This, coupled with the deep historical ties establishes a bond between both countries which needs to be capitalized on more by both peoples. 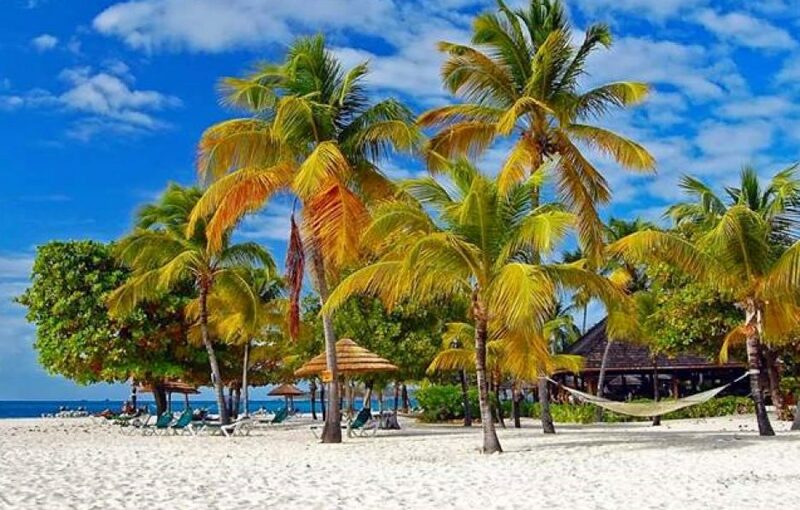 More Vincentians should be visiting Rodney Bay, the Pitons and Soufriere in St. Lucia and more St. Lucians should be visiting La Soufriere, the Tobago Cays Marine Park and capital city Kingstown. This can happen outside of family ties, sporting competitions or business related travel. After all, both countries are only 45 miles apart. Parts of the north in St. Vincent can be clearly seen in St. Lucia and parts of the south of St. Lucia can be clearly seen in St. Vincent. Come see what your neighbor looks like this summer.